Sarah Nader - snader@shawmedia.com Allison Lampe, 3, of Bull Valley pedals around the track while competing in Fiesta Days Big Wheels Race at Petersen Park in McHenry Monday, Jul y18, 2016. 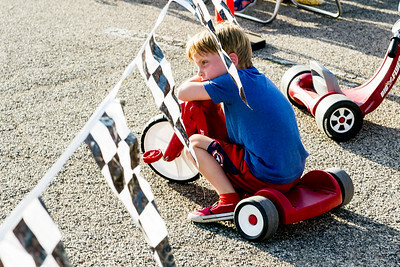 Sarah Nader - snader@shawmedia.com Cayden Moran, 5, of Johnsburg watches the other races ride around the track while waiting for his turn at the Fiesta Days Big Wheels Race at Petersen Park in McHenry Monday, Jul y18, 2016. 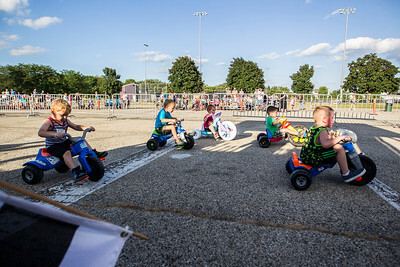 Sarah Nader - snader@shawmedia.com Children take off around the track while competing in Fiesta Days Big Wheels Race at Petersen Park in McHenry Monday, Jul y18, 2016. 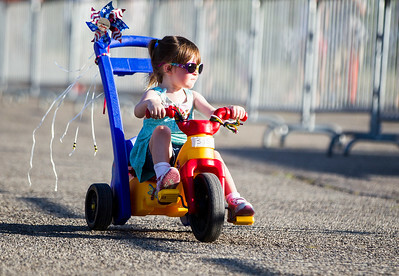 Allison Lampe, 3, of Bull Valley pedals around the track while competing in Fiesta Days Big Wheels Race at Petersen Park in McHenry Monday, Jul y18, 2016.